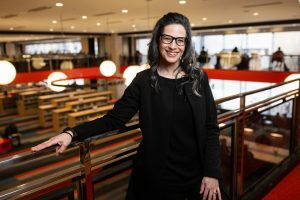 As the Boston Public Library’s Chief of Communications, Lisa is responsible for the Library’s public image, which includes media relations, marketing, and the BPL web site. Prior to joining the Library in 2018, Lisa led public relations around Boston’s affordable housing plan and efforts to end chronic homelessness at the Department of Neighborhood Development. A Boston resident, she also co-owns garage rock record label Rum Bar Records with her husband Lou.